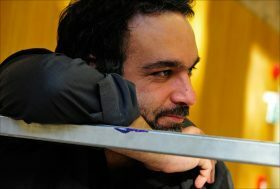 Mehrdad Zaeri was born in August 1970 in Isfahan (Iran). At the age of fourteen, together with his parents and three siblings he emigrated, first to Turkey and then, finally to Germany. It was here that he completed his schooling in 1992 and decided to become an artist. At a later point in time, he learned that a coloured pencil drawing can be just as precious as an oil painting. He now lives and works, together with his wife, in Mannheim.